Are you looking for a great part-time business to fit in with your current lifestyle? 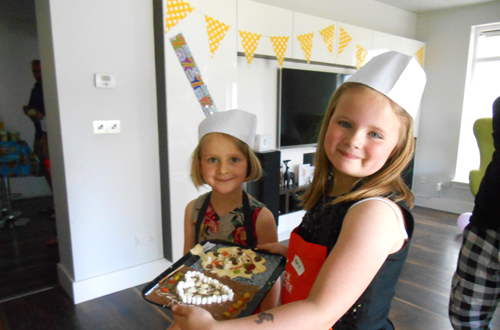 Rock Lobster Children’s Chocolate Party Franchise enables you be your own boss, generate a very good income and have fun working with chocolate and kids, whilst working part time maintaining your current priorities. We have done all the hard work perfecting an easy to replicate and profitable business model and we are now looking to spread our wings – or pincers ?- across the UK. We’re looking for bubbly, inspiring people who love working with children to become franchisees throughout the UK. As it is a franchise you will be expected to invest in your new business venture which will ensure you have the right materials and knowhow to succeed as a chocolatier in your local area. 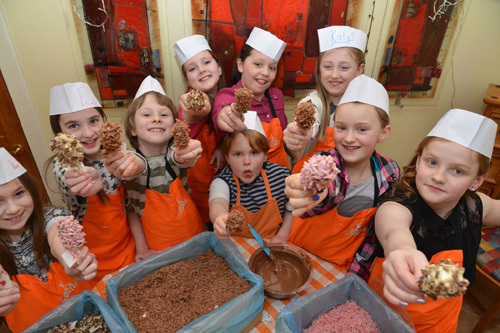 Your one day training course – where you will learn everything from tempering chocolate , to the history of chocolate, running and marketing your parties – is a very enjoyable day and you’ll come away teeming with ideas. Shortly after you will receive ‘The Box’ of branded stickers, aprons, party bags and 20kg of chocolate to get you started. With a lot of determination and practice practice practice (mmm.. .sounds yummy!) 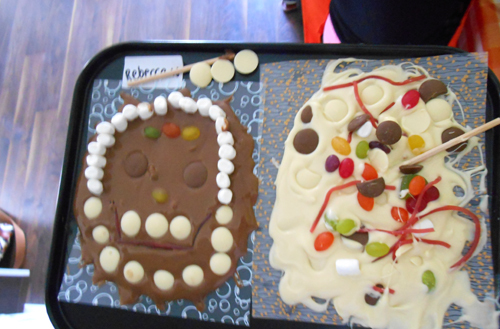 you’ll be in charge of your own chocolate party business within a few weeks and will soon be known as The Chocolate Lady in your area. If this is sounds like a business that interests you and you’d like to know more, please get in touch using the form below and tell us a little bit about yourself and what you’re looking for. Experience working with children? Financially ready to run own business? Friendly personality and good with new people? Organised and hardworking?